Completed Second year BSc Information Technology with Business Management Undergraduate at Informatics Institute of Technology in Collaboration with University of Westminster, with knowledge of Business Strategy and Information Technology with proven technical IT expertise and strong analytical and interpersonal skills developed through academic studies. 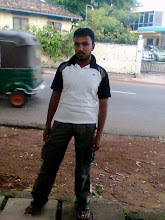 v I would like to achieve some practical knowledge in business with IT and become an IT Manager. BSc Information System with Business Management (1st year completed) – Informatics Institute of Technology in Collaboration with University of Westminster (UK). BSc Information System with Business Management (2nd year completed) – Informatics Institute of Technology in Collaboration with University of Westminster (UK). Personality Development and Leadership Skills. 2007/2008 – Awarded the Foundation Certificate in Higher Education (Merit Pass) at Informatics Institute of Technology. Worked collaboratively with colleagues in a range of work settings, including as Group Leader for the Project assignments with deadlines, with responsibility for coordinating the work and motivating a team of five members to meet the required deadline. Experience of working in teams during academic projects involved planning, role allocation and co-ordination to ensure high quality work efficiently and effectively was submitted within deadlines. Interaction with peers helped develop the ability to work effectively with people from different cultures and work styles. Experience of organizing and prioritizing workload to meet right deadlines, when faced with multiple projects and work commitments. Delivered presentations at University, Explaining complex IT concepts and business with various other subjects of the module and prepared written academic reports. I have trained and taught many students in IT field through my part time teaching job. I have trained many student Arabic Language and grammar for more then 2 years at various place (All Ceylon Jamiyathul Quran and Dar Asslalaf). I was a Sub Editor of Monthly Islamic Tamil magazine of "Nabi Wali Num Wali". I have published an Islamic book on behalf of an Islamic Institute (with my own format and design). I have delivered Public lectures on religious matter and other various subjects. 2010 March – Certified of completion of the Course " Microsoft windows Xp: Tune up your PC" at HP online learning Center. 2008 July – Certified of completion of the Course "Exploring and Implementing GOBI and 3G Technology" at HP online learning Center. 2009 July – Certified of completion of the Course “Protect your PC from spam, spyware and viruses" at HP online learning Center. 2008/2009 – Certified of completion of the Course "Computer Firewall Basics" at HP online learning Center. 2008/2009 – Certificate of participation in inter house sports meet in Football team in Informatics Institute of Technology. 2006/2007 – Certificate of honour in "recognition of outstanding achievement at Cutting Edge 2007" at Informatics Institute of Technology. 2005/2006 - Diploma in Computer Graphic Designing at Paradise Institute, vocational Training Center in Kuwait. 2005/2006 – Certificate of Completion of (Islamic) Al – Aleem course at Darul Quran in Kuwait Ministry of Islamic Affairs. 2001/2002 – Certificate of Completion of Al – Aleem (Islamic) course at Al-Rasheediya Arabic College, Mukraholam, Sri Lanka. 2000/2001 - Diploma in Computer Application at Dar As-Salaf Educational Center – 156 Hospital Road, Kalubowila, Dehiwela. v Computer Operating System XP, 2000 Arabic. v Type Setting in English, Tamil and Arabic. v Introduction to Computer Hardware. v Preparing Monthly report in Arabic and English. v Designing Course Material and syllabus. v Handled effectively the correspondences in both English and Arabic Languages (uploads, Downloads, Internet and Emails). 2003/2006 – Computer Graphic Designer at Al-Sabahiya Printing Press – Al Fahaheel, State of Kuwait. v Projects undertook from Kuwait Ministries. v Responsible for quality control and graphic designing with color corrections. v Efficient resolution of customer satisfactions, Development and implementation of enhanced procedures for assisting customers with their special needs (printings). v Enjoy Graphic Designing and Web Development (Animation). v Sri Lankan Driving License. v Keen Interest in Information Technology with IT Technical Knowledge. v Fluent English, Tamil, Arabic and Sinhala. Strictly speaking we can’t really see steam. What is ordinarily called ‘steam’ is a cloud of drops of hot water. If you closely watch the steam coming out of a kettle of boiling water, you will notice that for a short space beyond the spout of the kettle, you do not notice anything what we call steam or the cloud of water drops begin only after a small gap. Real steam is invisible. All metals combine with oxygen, but there are some which will not oxidize in contact with the air, even though rust in the name given for the oxidization of iron. Strangely enough, pure iron is one of the metals that will not rust. Other metals that will not rust are gold, silver, platinum, nickel, chromium, zinc, aluminium, manganese and antimony, for a long time people believed that rust, ‘the rat that eats steel’ was a kind of burning caused by the presence of oxygen in the air. However, today we know that it is not just oxygen and water that leads to rusting. An impurity such carbon dioxide in the air or carbon in the metal combines with the moisture in the air to generate electricity. This electrified solution dissolves the iron as electrified atoms (smallest units of matter which can enter into chemical combinations) which are then decomposed (separated into elements) by the oxygen. Even if protective coatings such as tin, nickel and zinc have been used on the iron, the smallest unprotected ‘pinhole’ is sufficient to start the process of rusting.